Smartphones may be pretty uniform in price at the store, but what they cost to manufacture -- and their price without a two-year contract -- varies wildly. Unlike other smartphone manufacturers, Apple generally doesn't allow its devices to be sold for any less than in its stores, so $199 is almost certainly what you're going to pay for a new iPhone 4 with a two-year contract. Buying it at Wal-Mart will knock that down a buck or two. 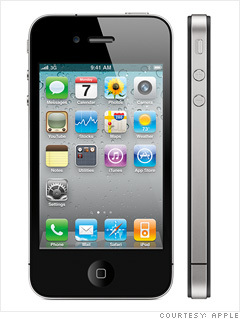 With component costs of nearly $190, the iPhone 4 is the most expensive smartphone on the market to manufacture, according to research firm iSuppli. The largest single component of that cost is the iPhone's Retina Display, which costs an estimated $30 to make. But the real wallet wallop comes if you break or lose your iPhone 4 and have to replace it before your contract is up. Buying one without AT&T's subsidy will set you back a jaw-dropping $600.